These no-bake pops are made of donut holes, sprinkles, licorice and candy melts. They are super easy, inexpensive, and as fun to make as they are to eat. 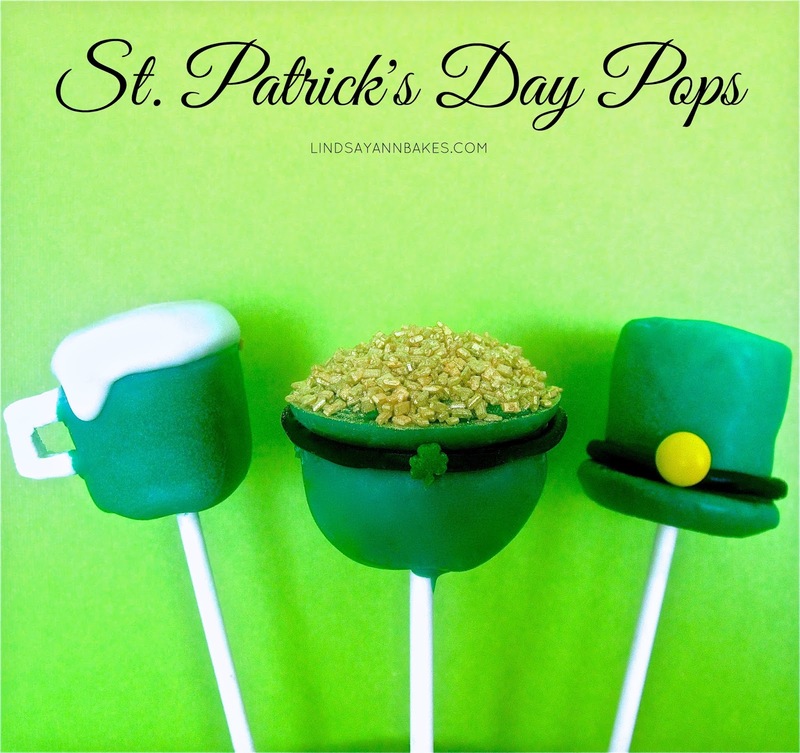 They are a perfect St. Patrick's Day party treat. Push the lollipop stick through your donut hole (make sure not to poke it all the way through). Melt green candy melts according to package. 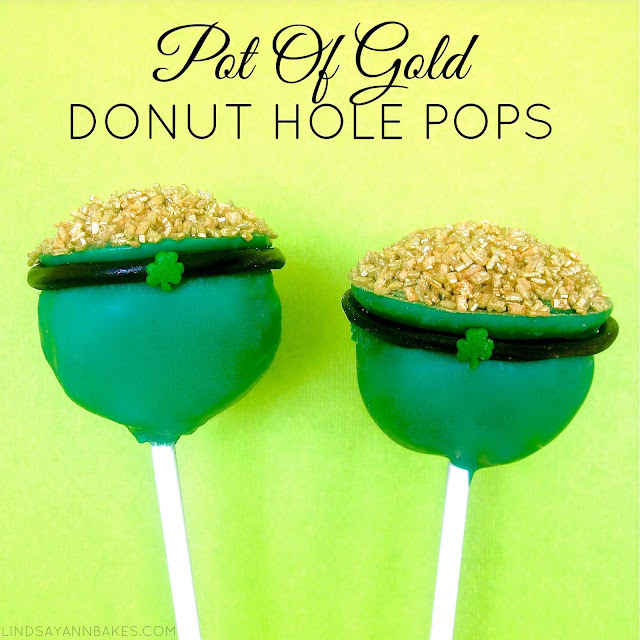 Dip donut hole into bowl of green candy melts and place on wax paper to dry, letting the excess chocolate pool at the bottom of the donut hole, creating the "brim" of your pot. Dip the top of the pop into your green candy melts and roll into gold sugar sprinkles. 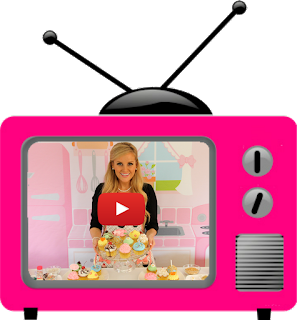 (You can also use the yellow sprinkles from our sequin confetti sprinkles for the gold or even some mini M&M's or any little yellow candies you can find.